Technological innovations have drastically changed the outlook of our life in the last 10-15 years. 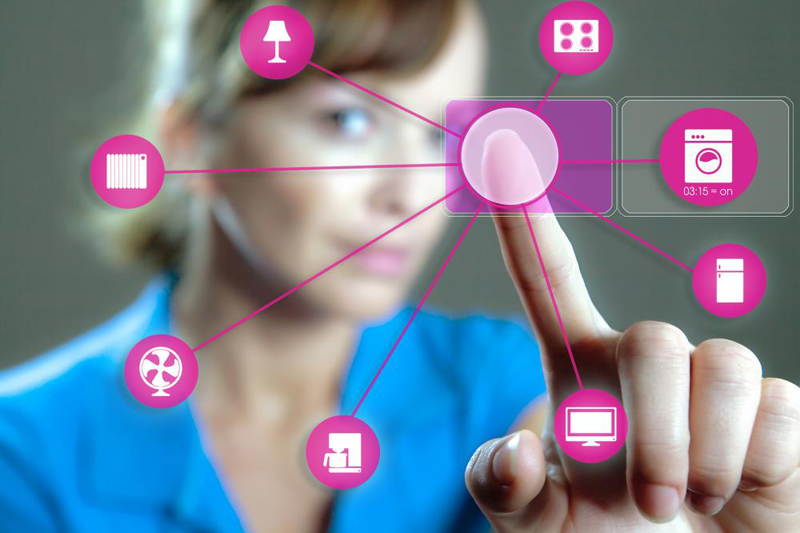 Now we can have our homes thoroughly controlled with a touch of the fingertip by using smart technologies. You can make a smart home by getting lighting, cooling, heating and electronic devices controlled remotely through your smartphone or computers. Let’s take a look at some of the smart home accessories that can serve the purpose. Traditional door locks have been used for nearly two centuries, but now you can add to your front doors with some extra layers of convenience, security and utility with the help of smart lock doors. There are certain features that make smart door locks truly ground-breaking compared to conventional door locks. Homes are surely safer with smart door locks, and you can an increased sense of control of your residence especially when you are not home. Smart lighting fixtures are essentially used to make your abode more energy efficient. They can be controlled remotely and adjusted from anywhere according to the daylight availability and occupancy of the space. Apart from reducing the loss of energy, they can provide you with more and more convenience. There are smart lighting fixtures available that can even be voice controlled through Amazon Alexa. Alexa is an intelligent personal assistant designed by Amazon to incorporate with different smart products including lights. Controlling your HVAC systems has become more convenient with the help of smart thermostats. You can control your air conditioning system from anywhere in the world through your smartphone or tablet. They can also be controlled through voice control technology. Go one step further and automatically control the indoor temperature by installing a smart sensor. It automatically turns on the air conditioning system when it detects motion. Having a smart thermostat and sensor can also cut your energy bills significantly. Cameras have been used for a long time now for the surveillance of properties. But now you can make this surveillance smarter with the help of smart wireless security cameras. You can get real-time feed of the camera straight on your tablet, smartphone or even your smartwatch. These security cameras are able to provide HD quality pictures, which is very important for the identification of any intruders or assailants trying to breach the security of your home. Night vision with the help of built-in infrared LEDs can enable these smart cameras to even work without the assistance of any light source. Incorporating all these smart accessories in your home can enhance your living experience by providing a better sense of security, efficient consumption of energy and lots and lots of comfort.